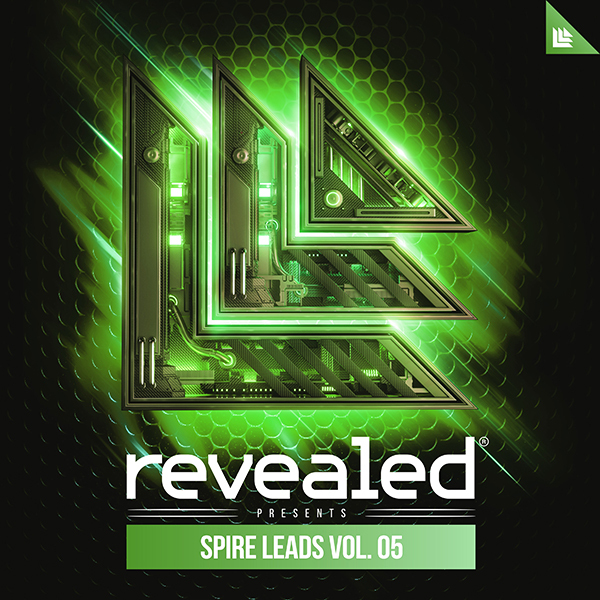 Revealed Spire Leads Vol. 5 is a preset collection of 32 leads to make your next Revealed track. From the phat big room hardstyle sounds of the mainstage to the hands up melodic progressive house sound, you’ll find the signature sounds used by Revealed producers. Revealed Serum Signature Soundset Vol. 3 is filled with 128 of the most modern-day sounding presets for Serum to date! You’ll find a spectacular array of hard-hitting basses, an immense selection of leads, stunning plucks, and much more – all easily customizable to fit into your music. Among every preset having modwheel assignments, each preset is assigned all four macro controls programmed to give you an abundance of inspiring performance shaping features. Revealed Serum Leads Vol. 5 is a preset collection of 32 leads to make your next Revealed track. From the big room to the festival mainstage, you’ll find the signature sounds used by Revealed producers. The Sounds Of Revealed Vol. 2 is a collection of 5245 samples and 320 presets – dedicated to give you the ability to replicate existing and future Revealed tracks. It is the next step in a new journey to deliver the highest caliber of sounds in the most advanced sample library for Big Room and Progressive to date. The Sounds Of Revealed Vol. 2 is a diverse library with 100 different categories of pro-grade instruments and sound designs. Whether you’re looking for Kicks, Glitch Fills, Hardstyle FX, Percussion, Drop Stabs, Shepard Tones, Didgeridoo Loops, Cyborg Kicks, Rave Loops, Tonal Risers, or a diverse selection of inspirational presets you can have it all and more! And to speed up your workflow, all samples are labeled by their root key, if a discernible pitch was defined. The Sounds Of Revealed Vol. 2 comes with three exclusive Revealed Signature Soundsets for Serum Sylenth1 and Spire. These presets were designed around playability and ease-of-use. Every preset is assigned Modwheel controls and, in addition, each of the Serum and Spire presets have all 4 Macro controls assigned, which we really think is going to make your music sound richer and easier than ever to create. Purely designed with expanding upon the latest trends in Revealed releases, The Sounds Of Revealed Vol. 2 is an immersive library designed to cover the true Revealed sound – from existing anthems to future ones. Now you have all the tools and the ability to select a variety of original and advanced sounds used by Revealed artists themselves. Get it today for for a special Introductory Price! Price goes back up March 6, 2019. Revealed Spire Plucks Vol. 4 is a collection of 32 plucks to capture the signature Revealed sound in your next track. Revealed Spire Bass Vol. 4 is a preset collection of 32 Bass sounds for your next Revealed track. From big room progressive to the festival mainstage, you’ll find the synth bass sounds used by Revealed producers. Revealed Sylenth1 Signature Soundset Vol. 4 is filled with 128 of the most modern-day sounding presets for Sylenth1 to date! You’ll find a spectacular array of hard-hitting basses, an immense selection of leads, majestic pads, and stunning plucks – all easily customizable to fit into your music. Each preset is assigned modwheel controls programmed to give you more control shaping your sound. Revealed Serum Plucks Vol. 5 is a collection of 32 plucks to capture the signature Revealed sound in your next track. Welcome to Revealed Producer Starter Pack Vol. 2; a FREE sample library for all aspiring and seasoned pro's alike who want to recreate the signature Revealed Recordings sound. Revealed Producer Starter Pack Vol. 2 is a collection of 475 samples and 50 presets for Serum. Whether you're looking for Kicks, Synth Shots, Fills, FX, Percussion, Drop Stabs or Shepard Tones, you will find it here. To speed up your workflow, all samples are labeled by their root key, if a discernible pitch was defined. Revealed Producer Starter Pack Vol. 2 is packed with a comprehensive and carefully selected collection of sounds to help get you started taking your productions to the next level. Revealed Sylenth1 Bass Vol. 3 is a preset collection of 32 Bass sounds for your next Revealed track. From big room progressive to the festival mainstage, you’ll find the synth bass sounds used by Revealed producers. Revealed Serum Signature Soundset Vol. 2 is filled with 128 of the most modern-day sounding presets for Serum to date! Revealed Sylenth1 Plucks Vol. 5 is a collection of 32 plucks to capture the signature Revealed sound in your next track. Revealed Serum Bass Vol. 3 is a preset collection of 32 bass sounds to make your next Revealed track. From the big room to the festival mainstage, you’ll find the signature sounds used by Revealed producers.